This week we take a critical look on what it means to be a Prepper. In an effort to debunk the stigma and negative connotation that comes along with being a prepper, we’re striving to expose preppers in a new light. This is the first in a new series segment that we’ll be spacing out here and there on The Next Generation Show. In these segments we dissect some of the personality traits of famous people, well-known characters, or people with a prepping mindset. 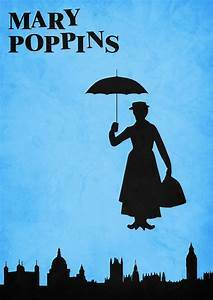 In the spirit of having fun with prepping, we’ll be taking a look at the fictional character Mary Poppins. Why Mary Poppins? Well, as many new mothers are well aware, having everything on hand when it comes to kids is a mainstay of motherhood. It seems every need is thought out in advance and winds up in that handy purse. In fact, we’ll be talking about how Mary Poppins’ magical handbag is in a lot of ways a preppers dream. Having everything you need when you need it and for any situation would make life during a disaster much easier. From first aid to extra light to outdoor gear to you name it – she had it dialed in and was always prepared. This Disney classic is one that demonstrates how having what you need exactly when you need it is one of the ways Preppers can be influential, inspiring, and insightful. Also, don’t miss out on the Pint Sized Prepper Project of the Week where we show you how to create a simple solution to waterproof your clothes, your gear and even your shoes! Listen to “Was Mary Poppins a Prepper? !” on Spreaker. Listen to “Was Mary Poppins a Prepper?” on Spreaker.